I Am What I Art because I've been writing this in my head for decades. In Arabic. In English. With crayons. With paint. Ever since I caught myself red-handed scribbling these words on the roof of my mind and in the crevices of the gypsy spirit that runs through my veins.  I Am What I Art because I will lash out if tied down to one focus, one concept. I will rebel against being forced into one solitary world view. I Am What I Art because, like art, I can be simultaneously and alternately bold, ambiguous, audacious, soothing, instigating, strong, soft, weak, elusive, obvious, selfish, generous, warm, cold, defiant, agitated, restless. Mostly restless. I Am What I Art because art is my promise to keep life fresh and interesting. Because art is my chance to live more than one life in this life time. I Am What I Art because I, too, want to stand unabashed, unafraid, uncertain, unfinished, open to criticism and admiration, but being changed by neither. I Am What I Art because art does not worry about its own definition. Labels, names, schools cannot pigeon-hole its essence. I Am What I Art because in recognizing my current limitations I am free to go far beyond them. I Am What I Art because I approach the details of my life like art, and I turn everything into art. Love, friendship, parenthood, work, exercise, conversations, disagreements, even sadness and loss. I Am What I Art because I realize, I appreciate, I am aware, of the luxury of being able to say I am what I art. Because I am a hopeless optimist. Because I like to believe that art can save lives, tell stories, unite peoples, remove the veil so we can see clearly that we are more the same than different. I Am What I Art because I believe creativity, like freedom, is a birthright. I Am What I Art because art floats around like droplets of dew in the oxygen we breathe. It's imprinted in our genes, it’s humanity's inherited legacy. I Am What I Art because of the comprehensiveness of art in form, substance and human endeavor. I Am What I Art because I am a project that can be interpreted and re-interpreted, only to discover that all previous interpretations do not apply. I Am What I Am because even in trying to hide who I am, I reveal who I am. Because art is my chance to finally look like myself! Through my Artivities, I strive to Engage, Energize, Evolve, Empathize, Expand, Exchange, Empower. I strive to express the eloquence and beauty in the details that surround our everyday existence. I strive to engage myself and others in Artivities that evoke wonder, formulate more questions, question the answers, and whisper softly to the soul. I strive to create art that is adventurous, intuitive, spontaneous, salient and tactile. I seek to be raw and honest in my work and I jealously guard the rough-around-the-edges aspects of my art. I strive to ignore limitations and pretend they do not exist. I strive to find magic, create magic, share magic. I strive to create harmony between my mind, soul and body. I strive to write stories with my work that, like life itself, continue to unfold because I am a lover of stories and a believer of the importance of many stories. I strive to read the stories of others, in whatever shape and form they may take, and I seek to create Artivities that increase opportunities for sharing these stories. I also hope that my Artivities will help others write more of their own stories to share. Or not. I strive to come to terms with the fact that my existence, like that of my art, might be futile, pointless, transient. Or not. But I strive to create a path to go through it anyway. I invite those who share all, any, some of the above statements to join in by participating in my Artivities, by sending me their own arty statements, by being engaging, engaging others and sharing the results, photos and stories. My work is mostly about stories using words, patterns, curves, abstracts, photos, colour and texture. I like to keep discovering new harmonies between techniques and mediums; paint, collage, photography, texts, writing, fibre arts, beading and the human spirit.